The Hebrew months of Av and Elul evoke reflections on dimensions of Jewish thought and experience well worth considering, as we approach the New Year. The Ninth of Av (this year observed from sundown July 21 - sundown July 22) is associated, primarily, with the destruction of the Temple in Jerusalem and the ensuing dispersion of much of Judea's Jewish population; it is traditionally marked as a day of collective mourning. The month of Elul i(which this year begins at sundown August 10) is a time of individual soul-searching and commitment to self-improvement, as the "Days of Awe" (Rosh HaShanah - sundown September 9 - 11 and Yom Kippur sundown September 18 - 19) draw near. Aspects of these consecutive months are both contrasting and complementary. The Ninth of Av is a day of communal commemoration. The heshbon ha-nefesh (soul-searching) of Elul, during which the shofar is, daily, sounded, is an exercise in individual growth and renewal. Each of these dimensions of life, Jewish wisdom suggests, is essential. There are approaches to life that focus exclusively on development of the self, and paths that call for abdicating any sense of individuality to become part of a greater whole. Neither self-absorption nor self-abnegation is a Jewish ideal. As Hillel observed two millennia ago: "if I am not for myself, who is for me, and if I am only for myself, what am I?" To flourish in the world as a human being is to develop the self and, at the same time, to contribute to the well-being of others. Hillel further instructed: "do not separate yourself from the community." The Ninth of Av serves as a reminder that the word Jew derives from Judea, referring to a way of life and a national origin. 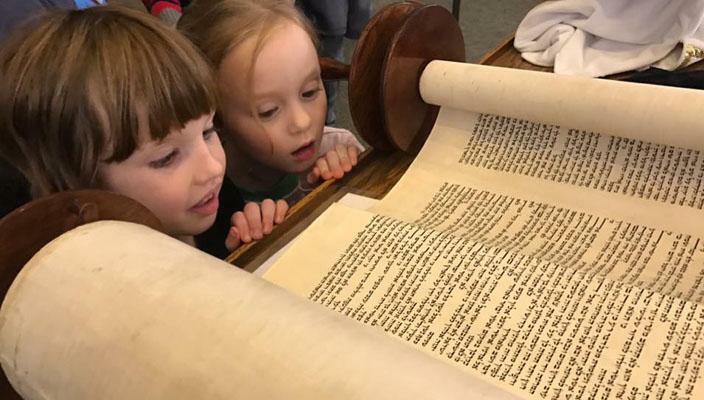 During the months of Av and Elul, the annual cycle of weekly Torah study draws its readers' attention to the Book of Deuteronomy. As Moses, nearing the end of his life, instructs the Israelites to teach successive generations (a major theme of this closing book of the Torah), religious life and peoplehood, he conveys, are inextricably, intertwined. Elul is a month of preparation for Rosh HaShanah, celebrating the creation of the world. Av and Elul together remind us of the importance of responsibility to ourselves and, no less, of responsibility to others; of the texts and experiences that have shaped a collective sense of Jewish identity; and that Jews and Judaism are part of the larger story of humankind. These are the motifs that point toward the start of a New Year. May our individual and shared reflections of the season inspire us to a shanah tovah, a year of goodness.